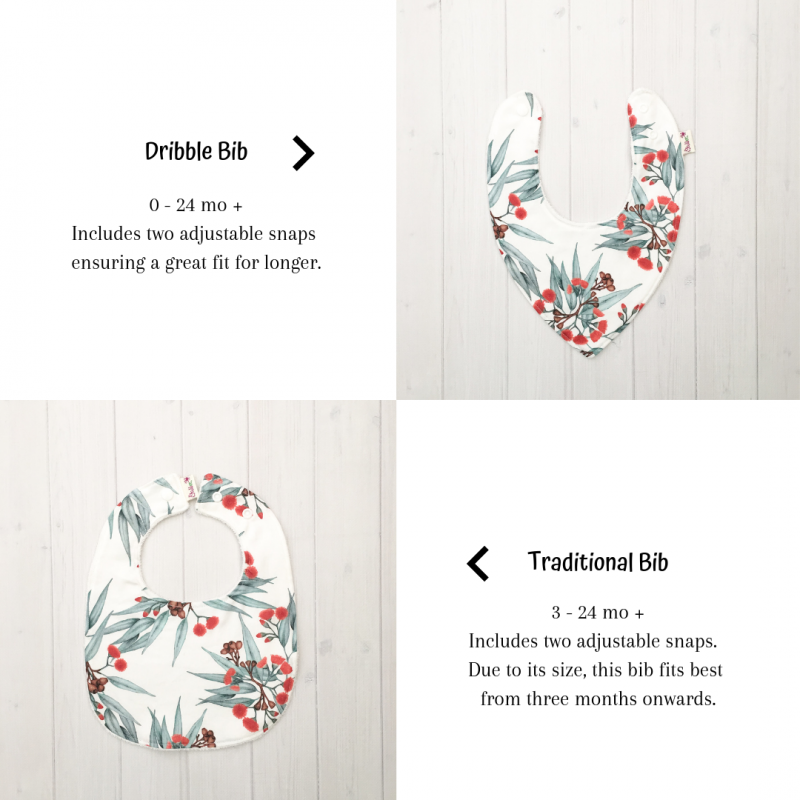 Our Hashtag dribble bib is perfect for babes of all ages. Modern, fun and practical. Each bib includes 2 industrial strength snaps which helps it fit easily from birth to toddler. All our dribble bibs are backed with a beautiful bamboo/cotton terry towelling.